Of all the corporate social media policies out there, which are intelligent and balanced, and which are draconian? We’ve compiled several examples here. CNN’s senior editor of Middle Eastern affairs, Octavia Nasr, was shown the door Wednesday after sending a tweet that expressed respect for the Shiite cleric Grand Ayatollah Mohammed Hussein Fadlallah. Despite a lengthy explanation of her 140 character foot-in-mouth, CNN brass stood by their decision. The news organization has pretty clear guidelines about how its employees (and freelancers and interns) should represent themselves on Twitter, Facebook, and other social media destinations. That got us thinking: Of all the corporate social media policies out there, which are intelligent and balanced, and which are draconian? We’ve compiled several examples here–but are still looking for more (email us your company’s policy to ideas@fastcompany.com and we’ll add it to the mix). UNLESS GIVEN PERMISSION BY CNN MANAGEMENT, CNN EMPLOYEES ARE TO AVOID TAKING PUBLIC POSITIONS ON THE ISSUES AND PEOPLE AND ORGANIZATIONS ON WHICH WE REPORT. The best rule of thumb is, keep in mind whether what you are doing or saying is “in public.” In most cases, what you write online is public or can be made public. CAN I COMMENT IN A CHAT ROOM? It depends on what you’re commenting on. A chat room is, of course, a public place. If you identify yourself, or could in any way be identified, then you should not comment on anything CNN reports on. Remember, even though you don’t say who you are, someone else might reveal your identity. AND if you’re discussing things that are in the news, keep in mind you could be seen as representing CNN, and therefore you should not comment on the issues CNN covers. HOW ABOUT MYSPACE, FACEBOOK OR OTHER SOCIAL NETWORKING SITES? Again, on these sites only write about something CNN would not report on. Don’t list preferences regarding political parties or newsmakers that are the subject of CNN reporting. Local issues that CNN wouldn’t report on would be OK. And of course private communication with friends or family about issues that aren’t in the news is fine. If you are not sure, ask your supervisor or S&P for parameters on posting. (S&P contact info is listed below). Also keep in mind that you should not be commenting or writing about what goes on in the workplace at CNN without specific approval by CNN senior managers. For example, in some cases there have and will be exceptions made to have some staff get information out to an outside audience on platforms like Twitter about our upcoming coverage plans. But without those approved exceptions, your workplace activity is proprietary and so you should not be writing on these sites about what goes on behind the scenes here at CNN. CAN I HAVE MY OWN WEBSITE OR BLOG? Yes. But you should notify your supervisor about it, to have it cleared as a non-conflict for your work. Your supervisor may choose to then have it cleared at another level or by S&P. And again, you shouldn’t post commentary on anything you might cover in your work or CNN may report on, or write about the CNN workplace or post CNN material without permission by a senior CNN manager. WHAT ABOUT POSTING LINKS TO OTHER WEBSITES, ARTICLES FROM OTHER PUBLICATIONS AND VIDEO FROM OTHER SOURCES? Again, if your web activity clearly shows that you are taking a position on an issue CNN reports on or is likely to report on, you should avoid such activity. In addition, you should not operate under an alias on your website or blog in order to participate in biased public behavior. Despite your use of an alias to express a view that may present a conflict of interest, it is still your opinion. Your real identity and occupation could be revealed by someone else at any point. WHY SHOULDN’T I COMMENT ON NEWS OR CURRENT AFFAIRS? Unless given permission to comment publicly on the issues or people we report on as a CNN analyst or commentator, it is important that you and all other CNN employees be independent and objective regarding the news and people that we cover. If you publicly declare your preference for issues or candidates or one side or the other of the public policy issues CNN reports on, then your ability to be viewed as objective is compromised. We appreciate that everyone has a life outside work and we encourage all of our employees to get involved with the issues that are important within their communities. That said, you need to avoid any appearance of bias or partiality. It’s just one of the responsibilities associated with working for a news organization. Stick to your area of expertise and provide unique, individual perspectives on what’s going on at Intel and in the world. Post meaningful, respectful comments—in other words, no spam and no remarks that are off-topic or offensive. The numbers: Non-public financial or operational information. This includes strategies, forecasts and most anything with a dollar-figure attached to it. If it’s not already public information, it’s not your job to make it so. Promotions: Internal communication regarding drive times, promotional activities or inventory allocations. Including: advance ads, drive time playbooks, holiday strategies and Retail Insider editions. Personal information: Never share personal information regarding other employees or customers. See the Customer Information Policies for more information. Legal information: Anything to do with a legal issue, legal case, or attorneys. Anything that belongs to someone else: Let them post their own stuff; you stick to posting your own creations. This includes illegal music sharing, copyrighted publications, and all logos or other images that are trademarked by Best Buy. link back to this page from their Twitter profile. FAIL. Adding to the discussion = WIN. that might be out of scope for them. The head of Social Media Scott Monty offered this list to Fast Company. Here is one part of the document they sent us. blogs, wikis, forums, Twitter, Facebook and any other form of user-generated media. Items posted online will likely be indexed by search engines and copied by other sites, so it can remain public and associated with you even if the original post is deleted. Post with care. Follow copyright, fair use and financial disclosure laws. Don’t publish confidential or other proprietary information—of TWC or of any other company or person. If you want to post or report on a conversation that was meant to be private or internal to TWC, first seek permission from those originally involved. Don’t cite or reference clients, partners or suppliers without their prior approval. When a reference is made, where possible, link back to the source. When communicating online, behave professionally and with the utmost respect for those individuals involved in the discussion. Ethnic slurs, personal insults, foul language, or conduct that would not be acceptable in TWC’s workplace should not be used. Use the web to find out who else is blogging or publishing on a topic of particular interest and cite those individuals, including links to their work. On social networks where you identify yourself as an employee of TWC, be mindful that the content posted will be visible to coworkers, customers and partners. Make sure the information posted is the most professional reflection of your opinions and beliefs. Refrain from engaging in heated discussion and use good judgment when expressing opinions that may pose a potential conflict. Do not post angry comments or attack individuals engaging in the discussion. Observe generally accepted online publishing standards. Do not alter previous posts without indicating that you have done so. informed perspective that are backed up with well-researched links. Do not insult or disparage TWC, its products and services, or any fellow employees, even if specific names are not mentioned. There are two employee policies. A 10-page tome on the professional use of social networking, microblogging, and other third party websites, and another on the same topic for personal use. The takeaway? Social media guidelines are more prevalent and important than ever, but there is little consistency in the policies. Smith says that the complexity of a corporate social media policy depends on the robustness of the corporate culture. She believes Zappos is the best example of because its hiring process is so stringent and every employee adheres to the company’s 10 core values. 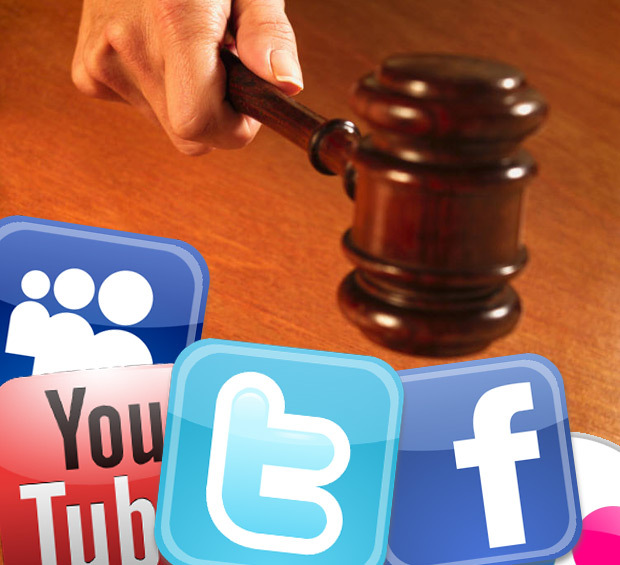 How does your company’s social media policy compare? Send examples to ideas@fastcompany.com.